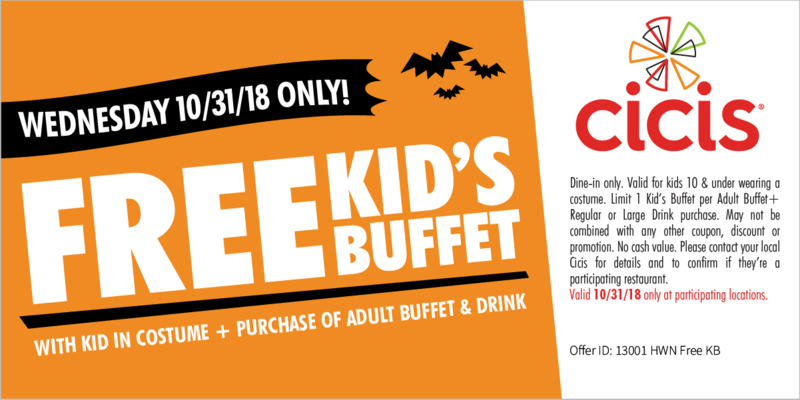 Free Kids Buffet for Kids in Costume on Halloween 10/31/18. With Purchase of an Adult buffet & drink. At participating locations.